Clark College inspires learners to excel, transforms lives, and strengthens our increasingly diverse community. Clark College, in service to the community, guides individuals to achieve their educational and professional goals. Facilitate student learning by providing the conditions for intellectual growth through scholarship, discovery, application, creativity, and critical thinking. Implement and institutionalize practices that increase academic performance, retention, and completion. Create and sustain an inclusive and dynamic curriculum and environment that reflect our diverse college community. Integrate active learning strategies within and across courses, disciplines, and programs with a global perspective. Create and advance accessible, integrated, and technology-enriched learning environments. Engage faculty, administrators, and staff in professional development experiences that enhance student learning. Align curriculum with learning outcomes and apply outcomes assessment evidence to continually advance student learning. Facilitate student learning by providing the conditions that improve educational outcomes and eliminate systemic disparities among all groups. Create and sustain an accessible and inclusive environment by utilizing principles of universal design and social justice so that all students can achieve equitable outcomes. Demonstrate improved intercultural competency among employees and students through comprehensive professional development and curricular transformation. Institutionalize hiring and retention practices that challenge systems of power, privilege, and inequity. Facilitate student learning by providing programs, services, and conditions that improve the economic well-being of the students, college, and community. Improve college affordability for students by expanding access to and information about financial resources, clarifying career and educational goals, providing pathways to success, improving college readiness, increasing financial literacy, and managing costs. Align program offerings with regional workforce needs to include technical and work-readiness skills. Align, expand, and enrich the relationships with regional industry leaders to increase internships, advisory committee participation, financial support for students’ education and programs, hiring pipelines, grant partnerships, mentorships, and apprenticeships. Maximize the college’s return on investment by responsibly allocating available resources. Leverage resources to create and sustain future innovations. Facilitate student learning by providing the conditions that continually improve the college’s physical, virtual, and social environment. Incorporate environmental sustainability priorities into all college systems. Improve the college’s physical and virtual environment to maximize access and appropriate use of space and technology. Integrate principles of mutual respect, collaboration, clear communication, and inclusivity in all interactions. Social Justice: Institutional commitment to produce equitable outcomes and challenge systems of power, privilege, and inequity. Partnerships: Collaboration with individuals, organizations, and businesses to increase student success and improve the community. Innovation: Development and implementation of creative and agile strategies to enhance student learning and respond to market needs. Sustainability: Effective and efficient stewardship of all college resources. Continuous Improvement: Evaluation and enhancement of all college operations based on data-informed planning and resource allocation. Shared Governance: Clear communication, inclusive consultation, and respectful consideration of multiple perspectives guide decision-making throughout the college. Clark College and the Disability Support Services (DSS) staff assist those with disabilities in pursuing their educational goals. The DSS staff is committed to assuring Clark College, its services, programs, and activities are accessible to individuals with disabilities. The institution takes seriously its responsibility to follow both the spirit and letter of all pertinent federal and state mandates. If you are in need of accommodation due to a disability during any of the entry processes to Clark College or for your classes, contact DSS for assistance. Early contact with DSS personnel is essential. 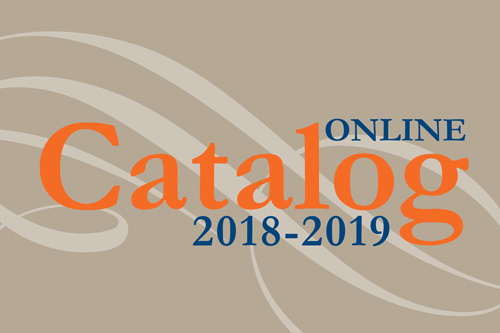 The information in this catalog is effective as of summer term 2018. Clark College has made reasonable efforts to ensure the accuracy of the information throughout this catalog. However, the college reserves the right to make appropriate changes in procedures, policies, calendars, requirements, programs, courses, and fees. When feasible, changes will be announced prior to their effective dates, but the college assumes no responsibility for giving any particular notice of any such changes. Changes may apply not only to prospective students, but also to those who are currently enrolled. Nothing contained in this website shall be construed to create any offer to contract or any contractual rights. We encourage readers to contact the college or appropriate office to obtain current information.